This is the third post in a series about young William Greene Dodson that began with A Mom’s Goodbye and The Cruel War Is Raging. The land of Mecklenburg County, Virginia rolls from pasture to forest to creek. Wild roses and honeysuckle form dense thickets, and glossy leaves of poison ivy climb oak and ash and maple. In the 1860s this was farm country, dependent on bonded black labor to make its red soil produce abundant crops of tobacco, corn, hay. And from her male ranks came soldiers prepared to fight for the right to prosper by the South’s peculiar institution–slavery. Among these men, in March of 1864, were William Green Dodson, age 18,and his uncle, Benjamin Franklin Dodson, age 37. Digging around in the archived Civil War Service Records within Footnote.com I discovered the elements of Ben and Greene’s 1864 story. I then correlated that keystone data with information from the 1860 Federal Census and the book Chase City and Its Environs to tell this family tale. 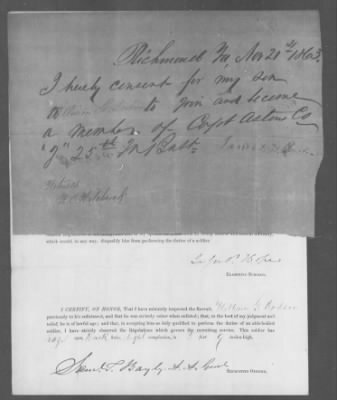 Ben Dodson enlisted 8 March 1862 with Captain Thomas Taylor Pettus, commanding officer, signing his papers in Mecklenburg County. The husband of Delia Boyd Dodson and father of five little ones signed up for the duration of the war. Ben Dodson was mustered in a 3rd Sergeant in the 4th Regiment Virginia Heavy Artillery, which was attached to the command of Brigadier-General Henry Wise. During the Battle of Seven Pines, 31 May-1 June 1862 in Henrico County, Virginia, this unit manned the heavy guns at Drewry’s Bluff, successfully repulsing the advance of the Federal gunboats the Monitor and the Galena. The men of Company B saw action again during the Seven Days Battle, at Frazier’s Farm and Malvern Hill, Virginia 25 June-1 July 1862. The Brigade was then attached to the Department of Richmond and held the lines around the capital until 1863. Ben Dodson fell ill during that guarding of Richmond. The farmer was furloughed to recover at his home 25 October 1862 and rejoined his company in early 1863. Ben Dodson led his men throughout the company’s 1863 defense of Charleston, South Carolina’s seacoast, under the command of Colonel John T. Goode, Major John R. Bagby, and Lieutenant-Colonel Randolph Harrison, with the regiment attached to the forces commanded by General G. T. Beauregard. 8 March 1864 the 4th Regiment Heavy Artillery was redesignated the 34th Regiment Virginia Infantry. On 17 March 1864 Ben received leave to go home to Mecklenburg County for 15 days. …with Company B, 34th Regiment Virginia Infantry. Captain T. T. Pettus mustered him in as a private, to serve under his uncle, Sergeant Ben Dodson, for the duration of the war. There are no muster cards on file to shed light on how Greene Dodson went from being a private with Company I, 25th Infantry Battalion in Richmond, December 1863, to being a private with his uncle’s regiment April 1864. I am left with questions: Why did Ben come home? Was he just needing a break? Was he recruiting? Why was Greene home? What words were exchanged between nephew and uncle? Did Sarah feel more or less relieved that her son was joining a close relative’s company? One thing is certain: Ben and Greene returned to Company B that April 1864 in time to be swept up in General Beauregard’s move toward Petersburg, Virginia. The families would be changed forever by that hot and dusty summer. Next: The Dodsons of Company B defend Petersburg. In my last post, A Mom’s Goodbye, I began the story of Greene Dodson and his home-leaving to join the Army of the Confederate States of America. Today I continue building proofs which document my family’s lore. It appears that someone had written out the text, with James filling in his son’s name, and signing his own name. Four other documents are included in this file, yielding precious nuggets of information, keystone elements of my family’s story. William Greene Dodson, seventeen years and eight months, stood 5’9″ tall. Greene was light complected with dark hair. His hazel eyes must have burned with earnest bravado as the young farmer signed the enlistment papers for Captain Samuel T. Bayly. Volunteering to serve three years or the duration of the War, my great-great-uncle took the oath of allegiance to the Confederate States of America and its leaders. By the end of the day 25 November 1863 all the forms had been filled out, all the recruitment exams and procedures conducted–William Greene Dodson was a Private with Company I, 25th Battalion Virginia Infantry. I imagine James and Sarah down home in southside Virginia, pausing during their chores, half expecting to see their son’s lanky frame come ’round a barn door. And then remembering with a mixture of pride and fear that Greene had stepped into being a man, answering a call to duty. 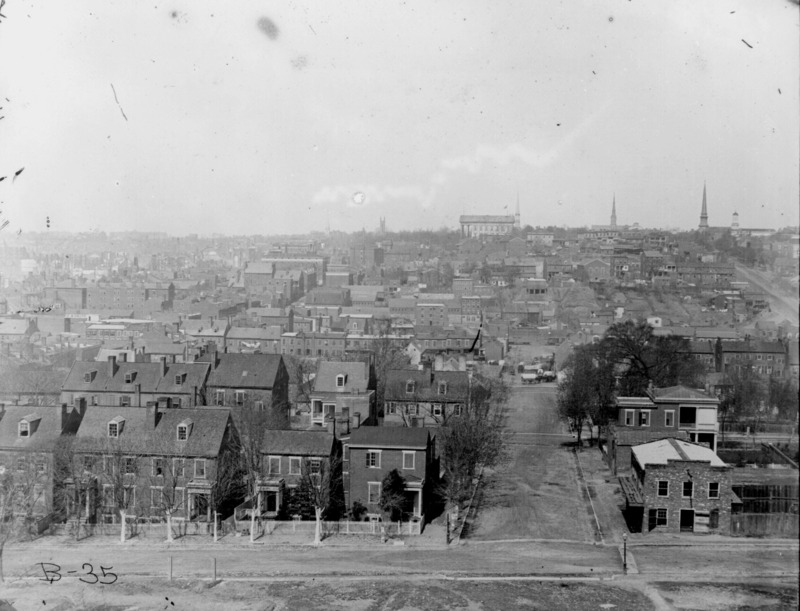 We leave Greene in Richmond, where he is on the List of Recruits, 31 December 1863. There are no further muster cards for this ancestor with this company. I can only speculate at this point what Greene did between December 1863 and 15 April 1864 when he re-enlisted. Next: The Dodsons of Company B, 34th Regiment Virginia Infantry. Sarah Jane Rowlett Dodson must have felt awash with anxiety and sadness as she watched her son’s back recede down toward Dodson’s Corners, Virginia. Greene left home to pursue his adventure as a soldier for the Confederate States of America. He didn’t get the chance to become a man. It is going to be much easier to ponder this mother’s goodbye than to say mine. So my next few posts will be a bit of productive coping. My proof that Greene Dodson actually existed and fought in The War Between The States begins with my Grandmother Strickland’s family history, “Some Genealogical Facts of the Strickland-Sayles Family”, compiled and written by Florette Sayles Strickland, March 1976. James Dodson and Sarah Jane Rowlett, united in marriage 18–, in Mecklenburg Co. Virginia. Born to this union: Greene, Virginia, Harvey, Henry, Dora, Molly, Adlaide, Rebecca Eulelia (Lillie), born Aug. 15, 1856, Edward (Ed), and William Rowlett (Bud). ….Greene, the oldest son, was killed while serving in the Confederade (sic) Army near Petersburg, Va. shortly before the War ended. He had left school to join up, tho (sic) he was under age. The 1860 Federal Census provides further evidence. Listed among the residents of Regiment 22, Mecklenburg County, Virginia are Dodson, James (45), Sarah (35), William (13), Eugenia (10), Harvey(8), Maria (6), Mary (5), Lilly (3), Usebia (2). Because my grandmother referred to the eldest son as Greene I have concluded that Sarah Jane’s boy was named William Greene, after James’ mother, Mary Greene. The search among Confederate Soldier records included all the possible variations: William, Wm., William G., W. G., Greene, William Greene Dodson. After falling down the proverbial rabbit hole, I found the muster cards provided some confusing results. Next: The Confederate Citizens’ Papers yield an important clue. Map of Mecklenburg Co., Va. Surveyed under the direction of A.H. Campbell Capt. P.A.C.S. in Ch’ge Topl. Dept. [by] H.M. Graves Lt. Engrs. Sept. 1864.